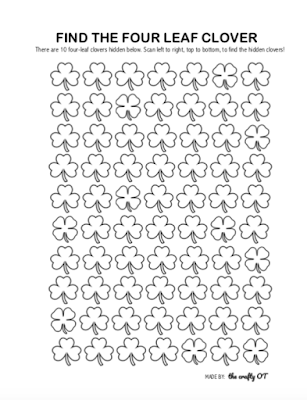 Directions: There are 10 four-leaf clovers hidden below. 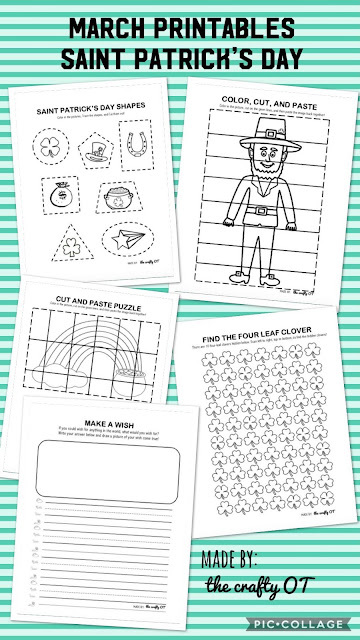 Scan left to right, top to bottom, to find the hidden clovers! 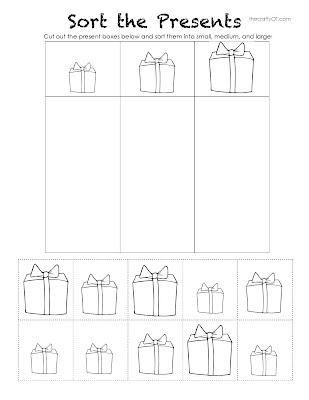 Directions: If you could wish for anything in the world, what would you wish for? 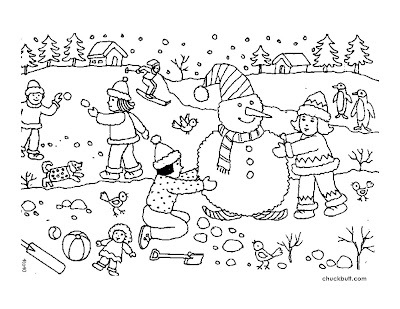 Write your answer below and draw a picture of your wish come true. 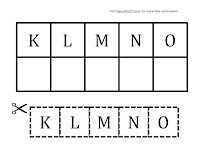 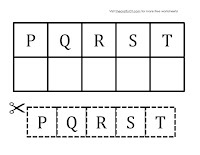 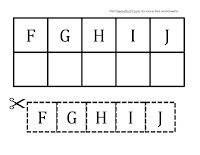 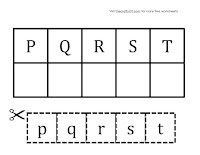 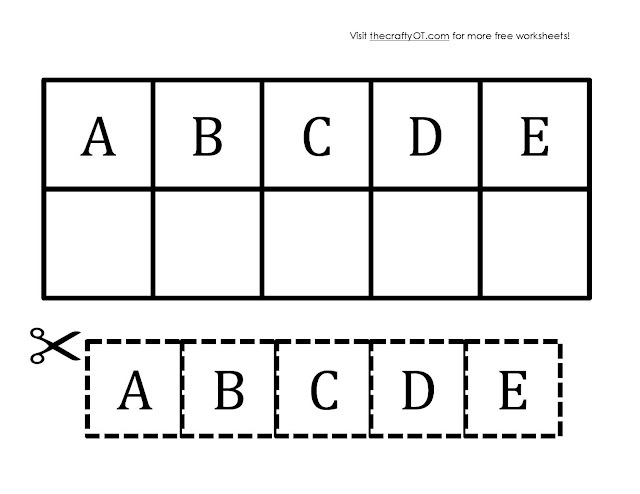 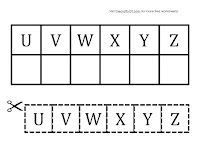 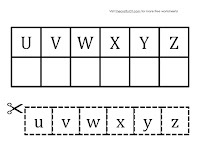 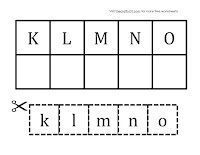 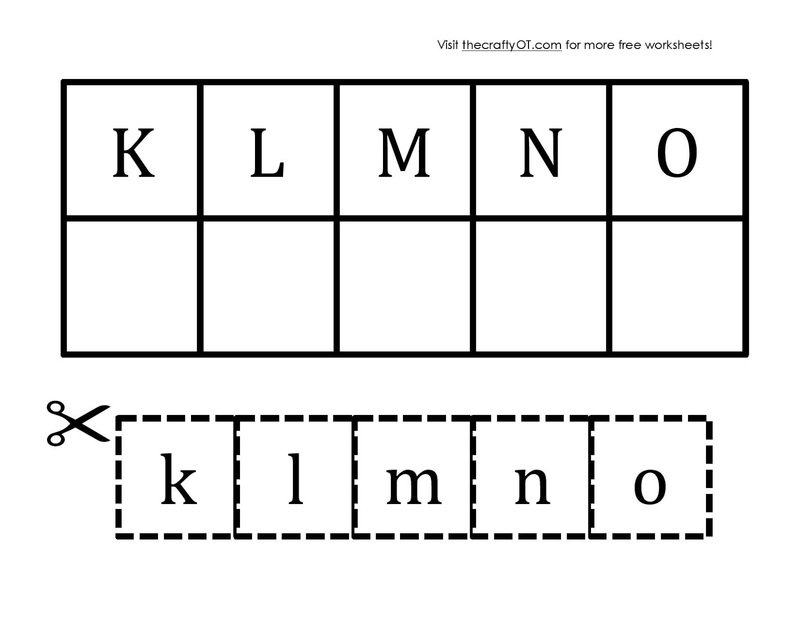 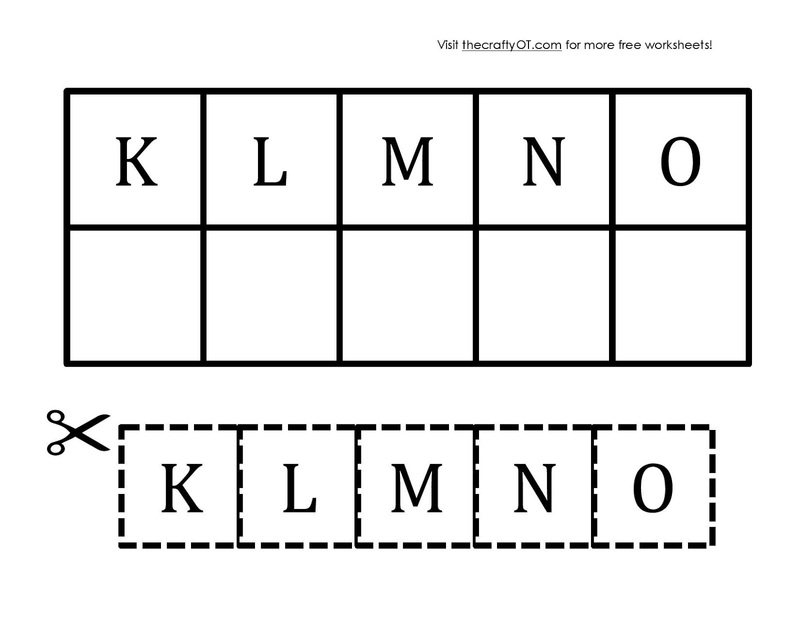 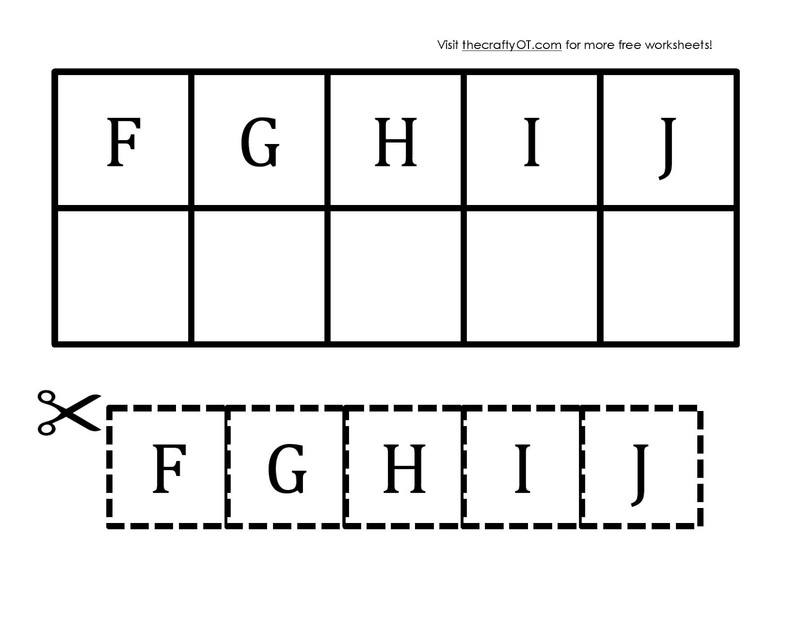 Lined paper based off of Wilson Fundations Paper. 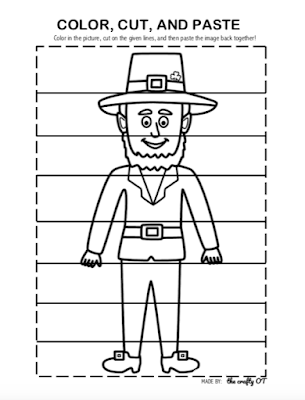 Directions: Color in the leprechaun, cut on the given lines, and then paste the image back together! 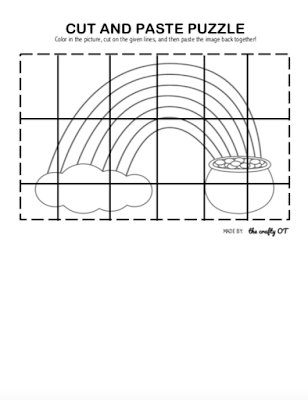 Directions: Cut on the given lines and then paste the rainbow back together! 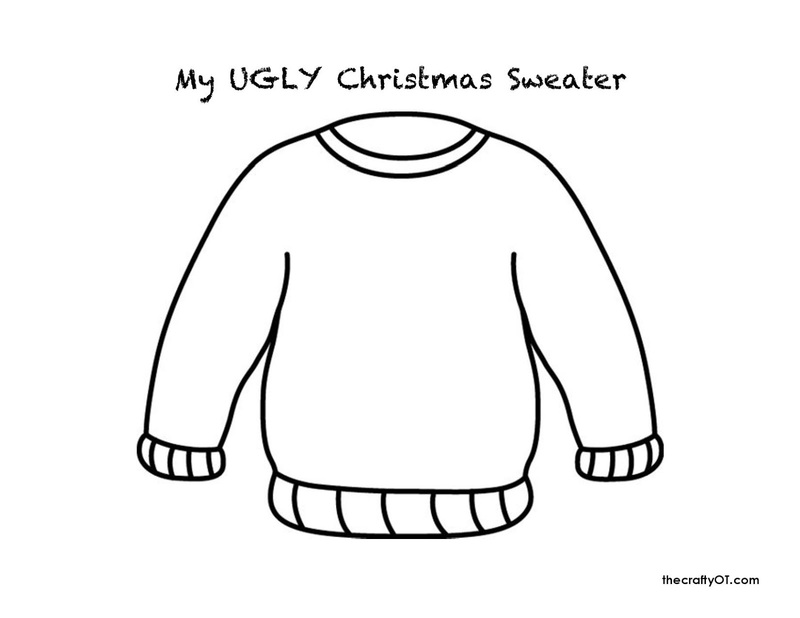 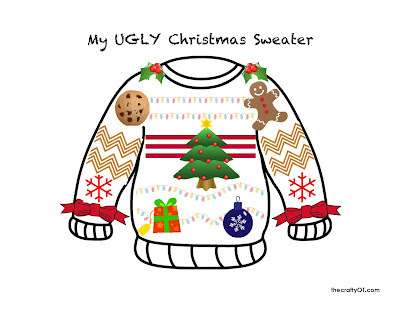 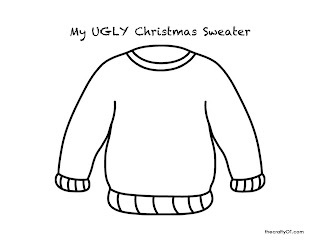 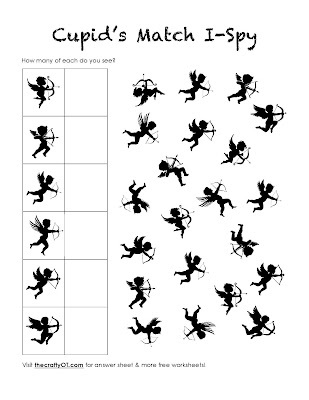 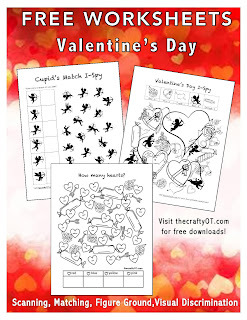 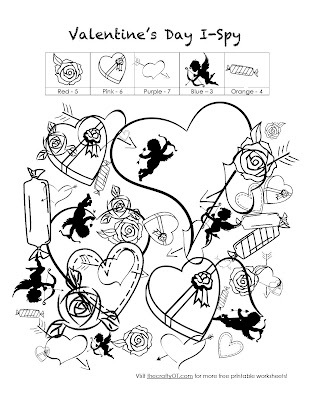 Directions: Color in the pictures, trace the shapes, and cut them out! 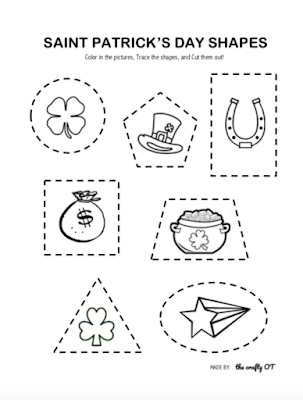 Click the images below to download the full packet of Saint Patrick's Day worksheets or click here! 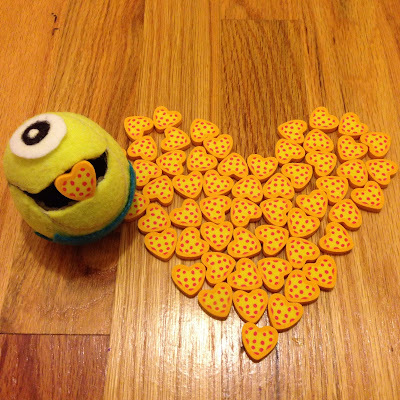 Extremely cute and fun activity to work on hand strengthening, hand endurance, or gross grasp. Have the child squeeze the tennis ball to open his mouth and eat a pizza! 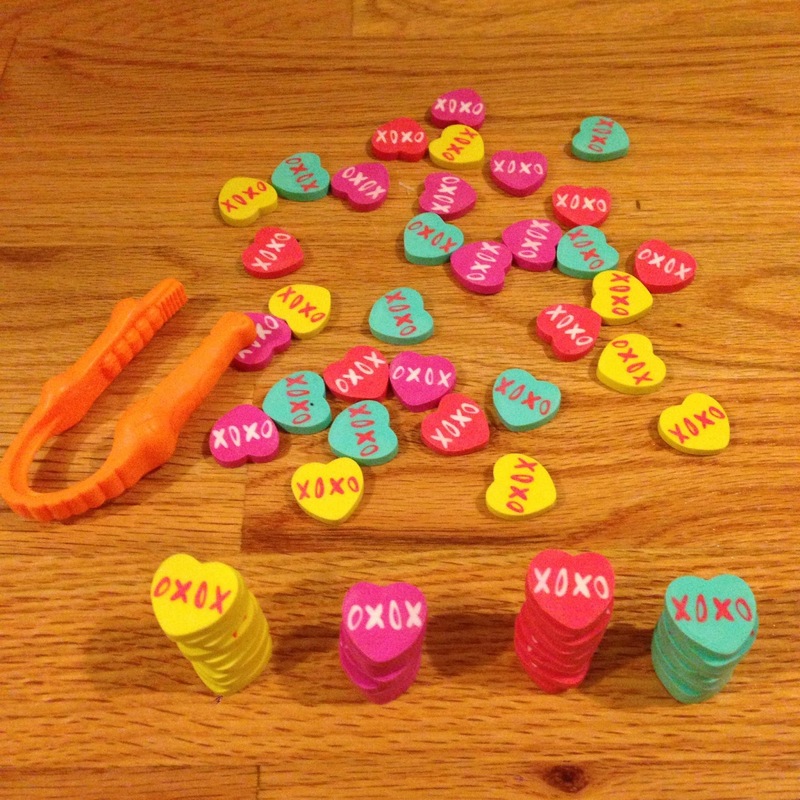 Who doesn't love candy hearts? 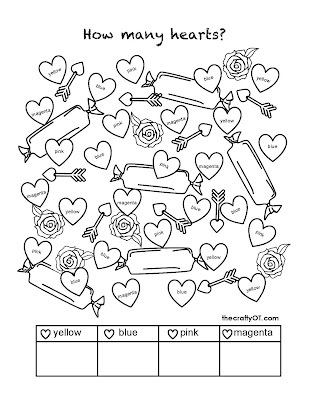 Sweet activity to work on finger strengthening, hand strengthening, endurance, color recognition, scanning, and matching. 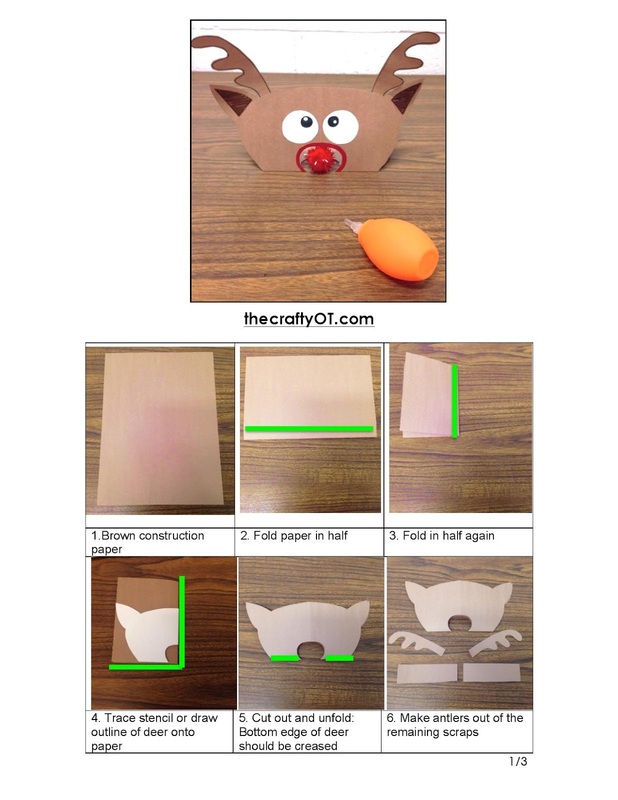 You can even ditch the tongs and focus on pincer grasp or in-hand manipulation! 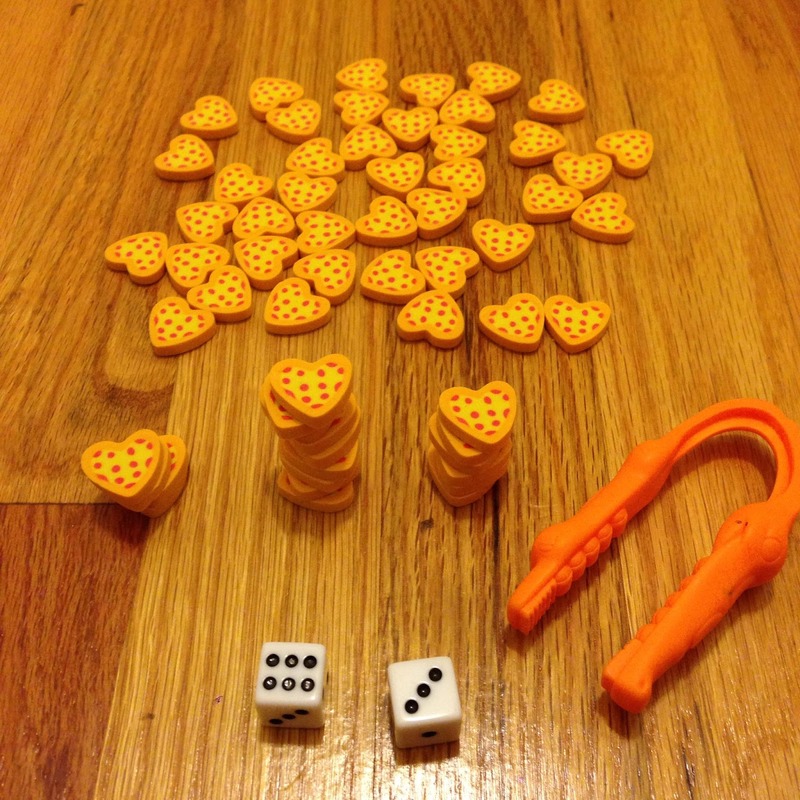 Roll the dice and stack the pizza erasers on top of each other using the tongs! Works on finger strengthening, endurance, grading movements, dexterity, and counting. 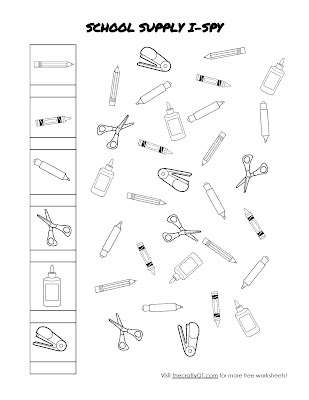 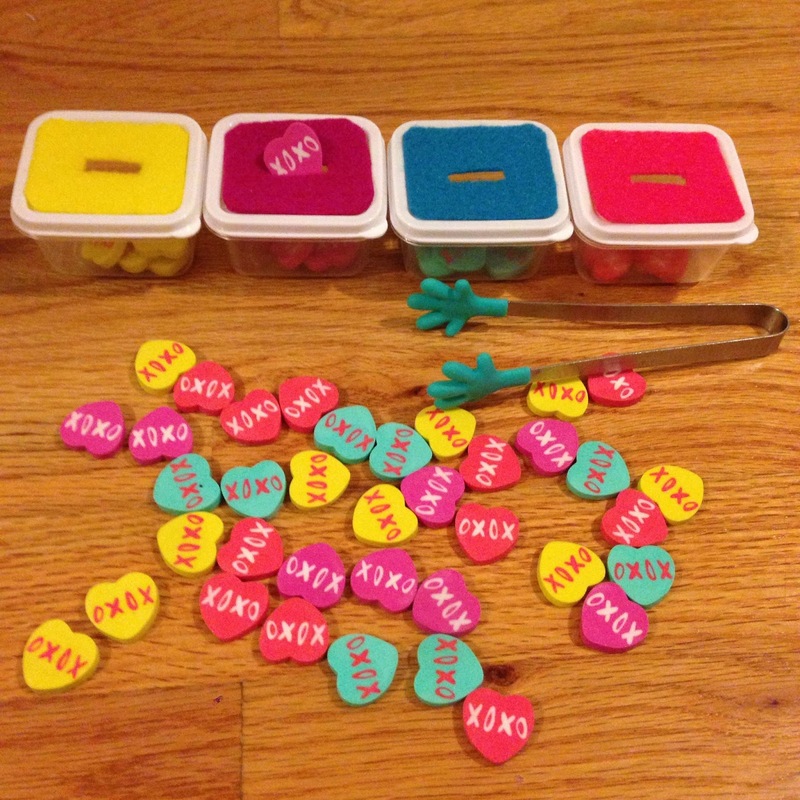 You can also roll and sort the erasers back into containers and see which container gets the most pizza love! 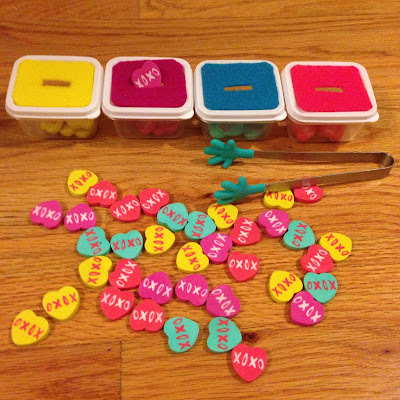 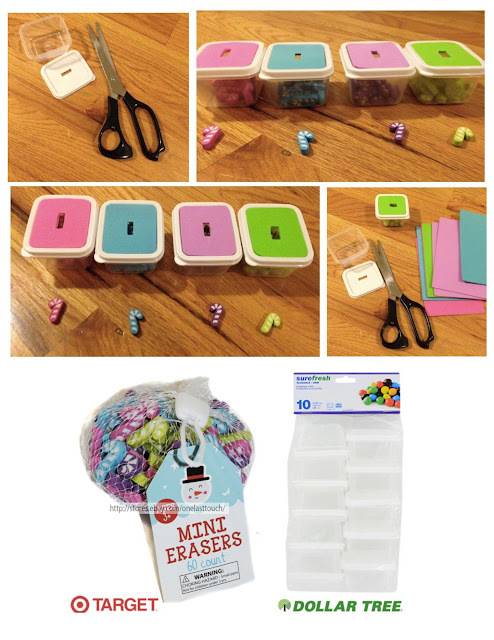 These candy heart mini erasers are perfect for stacking and sorting. 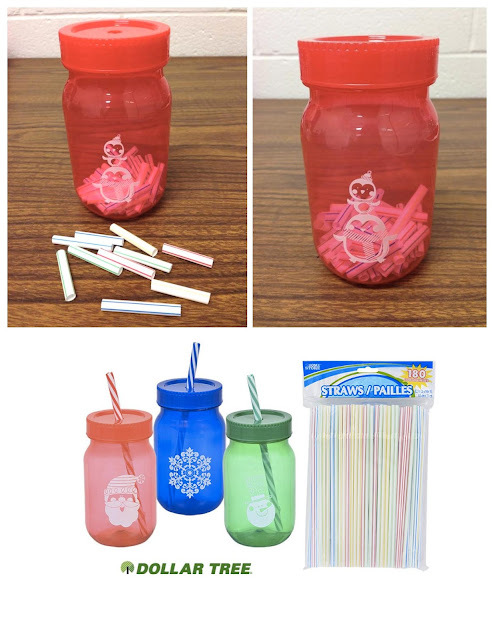 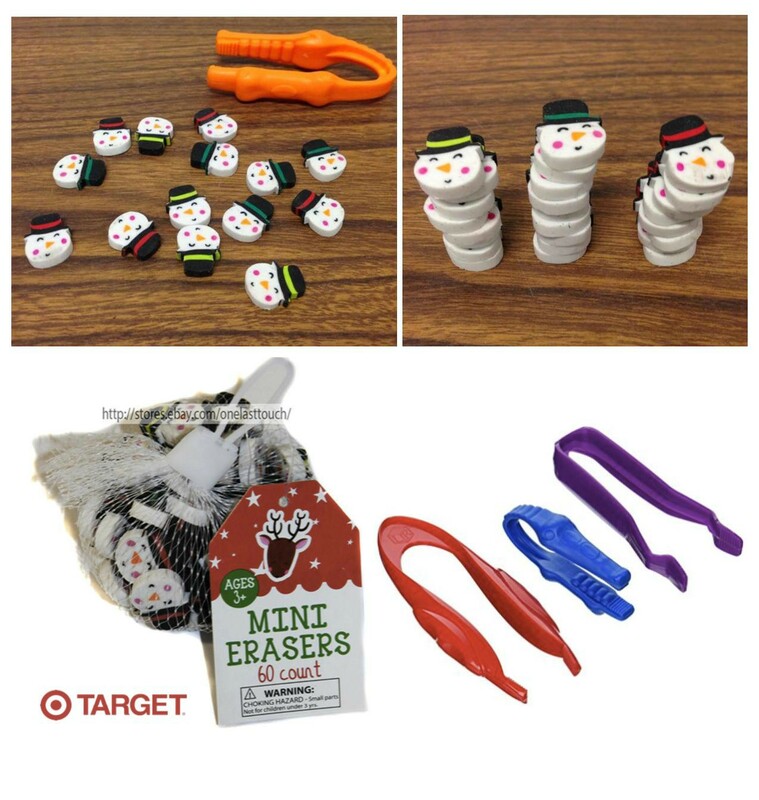 Use the tongs to pick up each eraser and make a pile for each color! 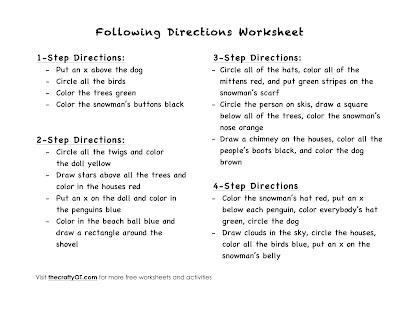 Love how simple and sweet this activity is. 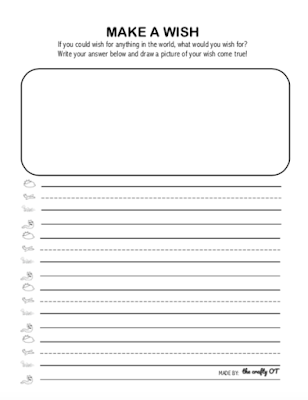 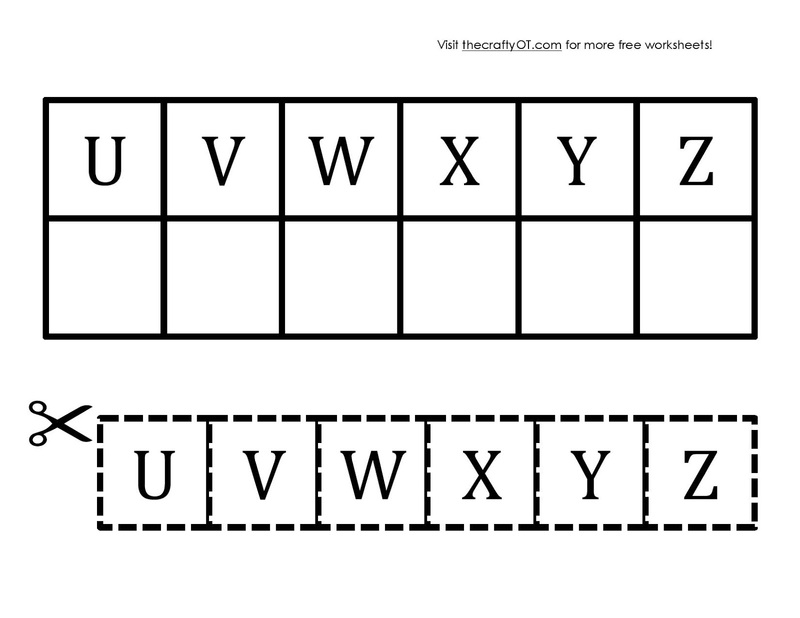 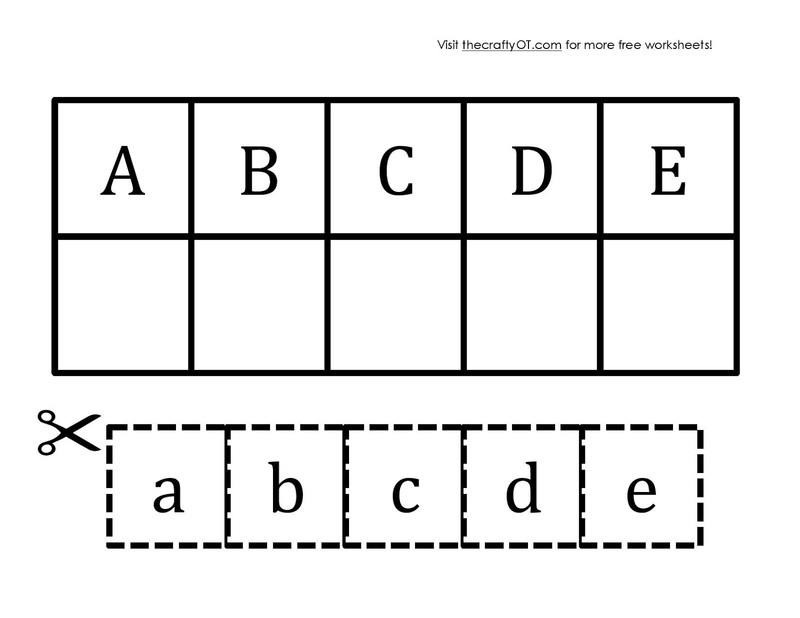 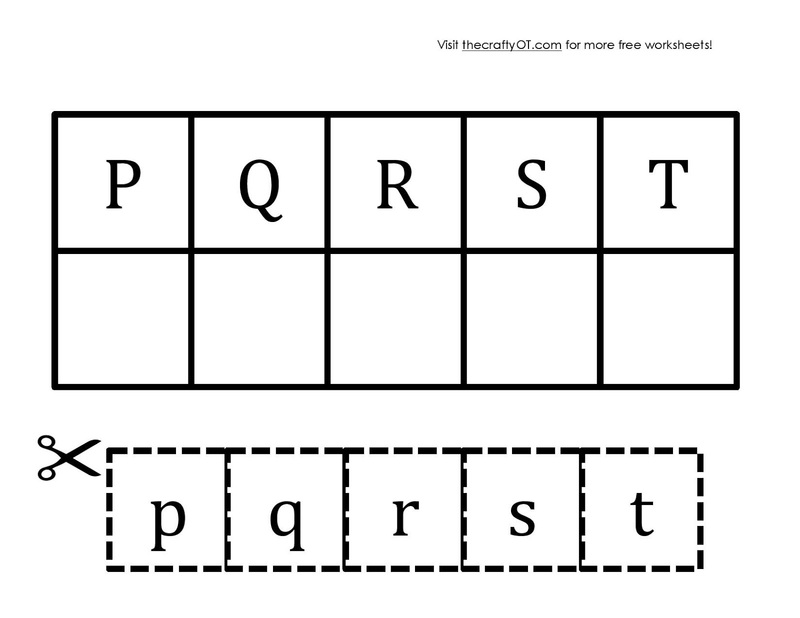 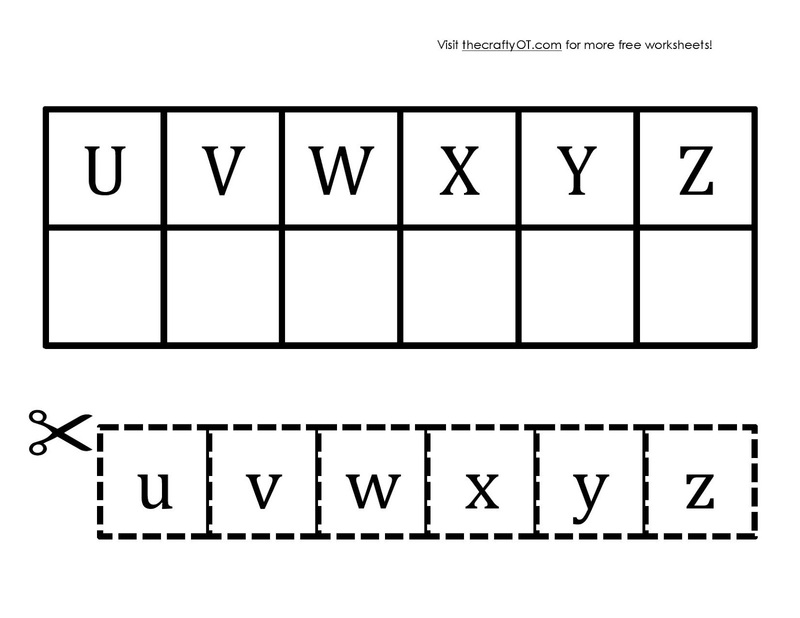 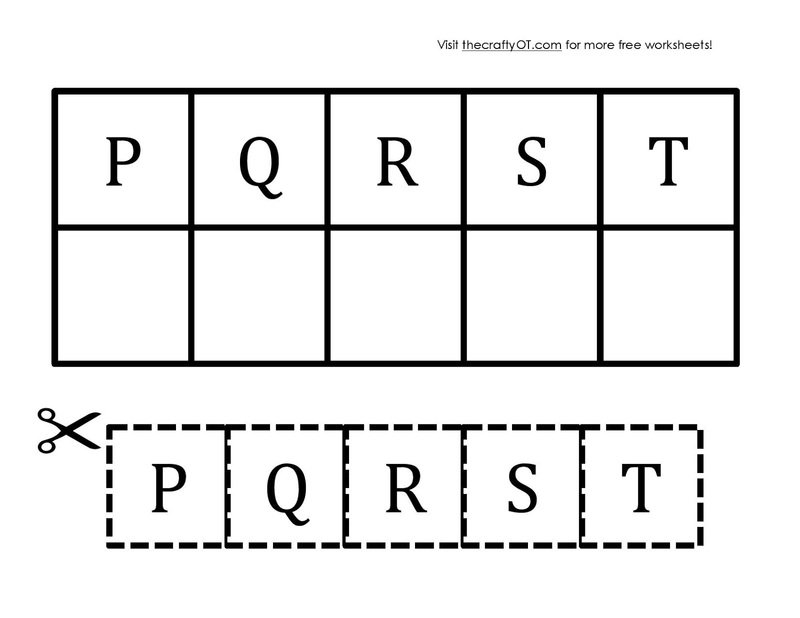 Download FULL HANDWRITING PACKET here! 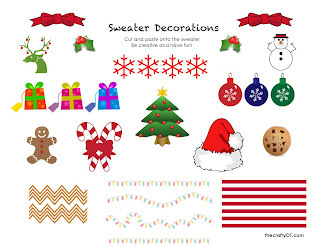 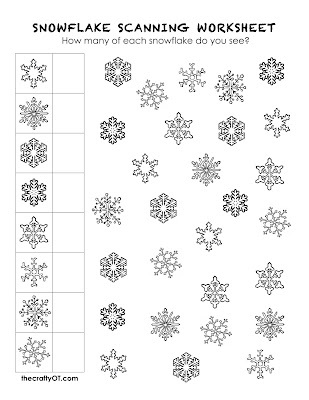 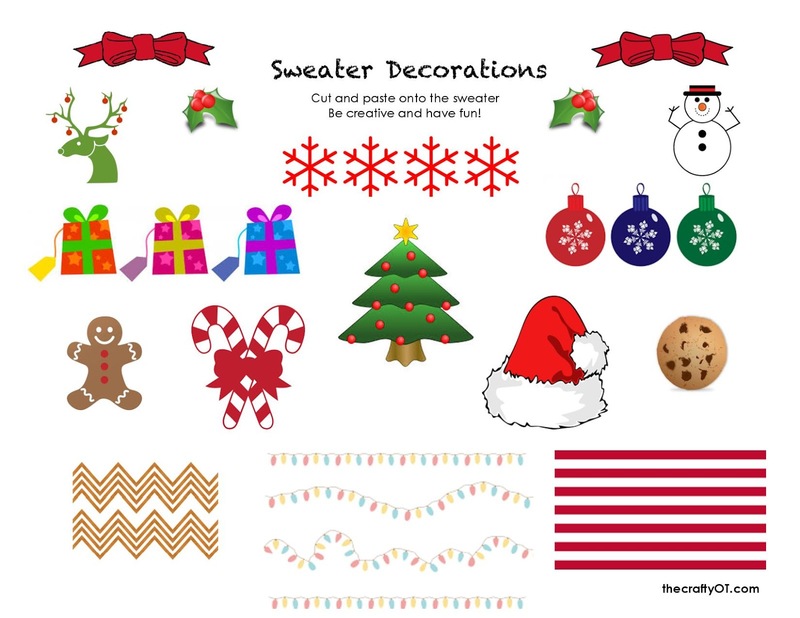 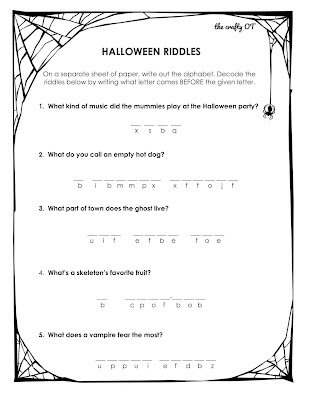 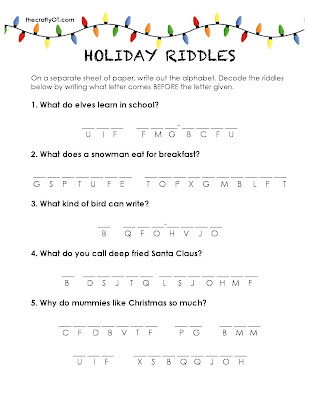 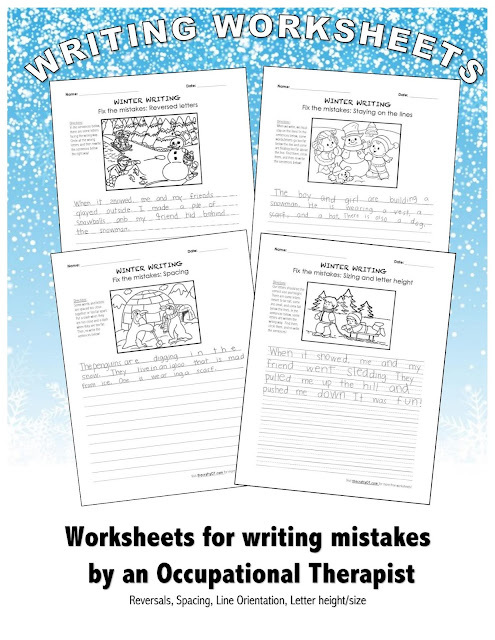 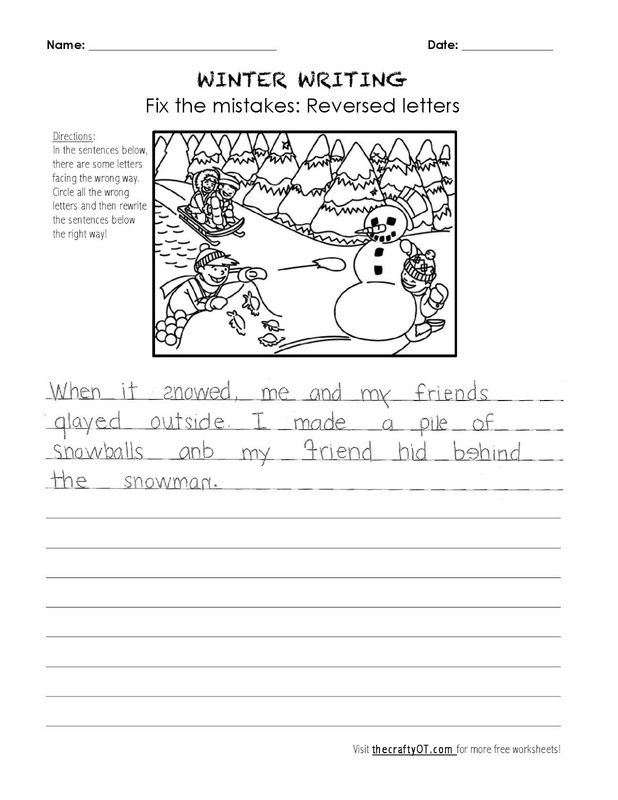 Winter worksheets that I made for my elementary aged students. 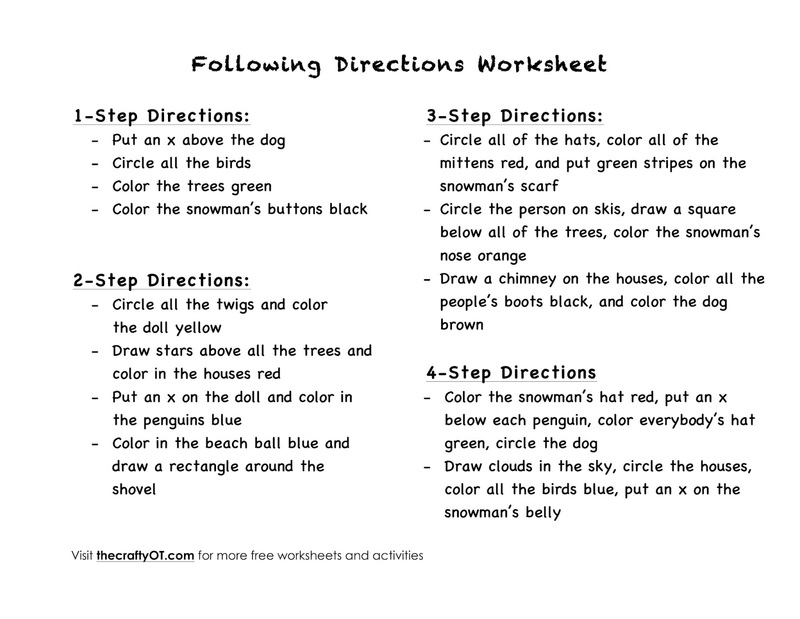 Feel free to print, use, and share!